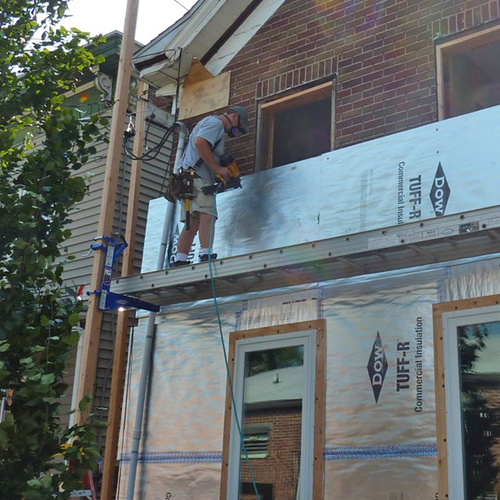 Beyond weatherization, a deep energy retrofit is a remodel that aims to cut energy use by at least 50%. How deep can you go? The sky (and your budget) is the limit. Shake with ice in cocktail shaker, and serve. I recently heard that a good blog is like a red party dress: long enough to cover the important parts, but short enough to maintain one’s attention. Because we feel that many short dresses are better than a single long one, we’ve decided to divide our episodes into smaller, more manageable parts, and release them with greater frequency. The Appetizer (served with a cocktail, of course), where we introduce and define the concept of the deep energy retrofit: What a deep energy retrofit is, and what it looks like. 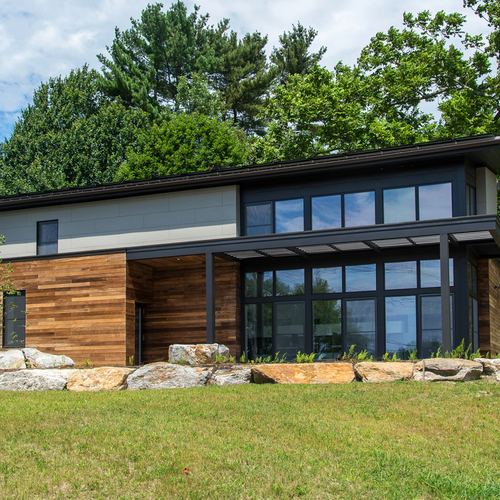 The Main Course, with the most nutrients, where we discuss how to deal with the building envelope: How to approach a deep energy retrofit and how to manage a client’s monetary expectations. The Dessert, consisting of HVAC systems, and a song for your studio (dinner music). To listen to GBA Radio on your iPod, right click on the green “Download .mp3” words above, save “Link” to your desktop, drag the file into iTunes, and enjoy the show whenever you want to! Chris: Hey, everybody, welcome to the Green Architects’ Lounge podcast, I’m your host, Chris Briley. Phil: I’m your host, Phil Kaplan. Hi, Chris! C: Hi, Phil, how’re you doin’? P: I’m doin’ great today. C: Excellent. What’re we talking about? P: I’m glad you asked that. Today’s topic is deep energy retrofits. P: And at the very least, your responses are funny. C: Right. Well, actually I try to be, although I don’t really try too hard because it’s the middle of the workday… The farthest we’ve gotten so far is from Costa Rica, so we are going international. P: That is very cool. What does a deep energy retrofit look like in Costa Rica? C: Well, I don’t know. The gal who asked me that—I don’t have her name—anyways, she was talking about warm climates, and I said, ‘Hey, we’re not really experts in that,’ but she thought our lack of knowledge of Horchata was funny. P: So, you want to tell us this lovely drink you’ve made for us? C: Oh yeah, let’s get right to it. Now this is the sidecar. A sidecar is an old-timey sort of thing. No one knows the origins—actually, someone knows the origins, but I don’t. But apparently some bar somewhere made it for this guy who brought his date in the sidecar of his motorcycle. That’s the legend; I don’t know. Rediscover this drink everybody, because it’s great! P: I concur! This is my first—although, I must have had this before, but I don’t remember it. 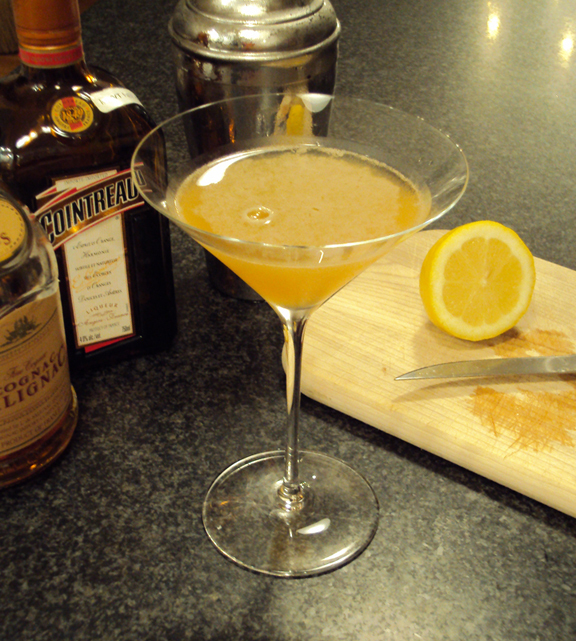 C: I’ve had a sidecar renaissance these last few months. I think it’s because spring is coming; I’m getting out the lemons. So here we go: My sidecar is 2 ounces of cognac… Actually, I just pour the stuff in the shaker at the proportions I think are right. P: You did it perfectly. C: But officially, it’s 2 ounces of cognac, half an ounce of cointreau, 1 ounce of lemon juice—fresh lemon juice, guys, don’t just… Get a real lemon, cut it up. P: Not one of those plastic things where you unscrew the top. P: Mr. Boston’s Official Bartenders and Party Guide! C: Phil’s lending that to me, right? P: I’m a little disappointed that you didn’t actually own a copy… Chris, remember where your Sweets catalog used to sit? C: Yeah, I’m going to order 12 volumes of that and just put it over there. C: And you can email us at [email protected] Like I’ve promised in every episode, one day we’ll have a real website, and a domain and all that jazz. The reason we haven’t jumped on it is because we found a nice home at Green Building Advisor, which is greenbuildingadvisor.com, so a shout-out to those people… We’re syndicated! We’re not sponsored, but we’re syndicated. P: That counts for something, doesn’t it? C: It does, it does. P: Those are good guys. C: They’re great guys. I’m honored to be with them. 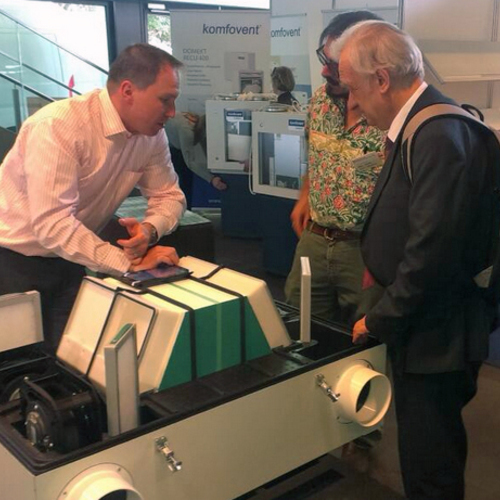 So, let’s get to it: the deep energy retrofit. 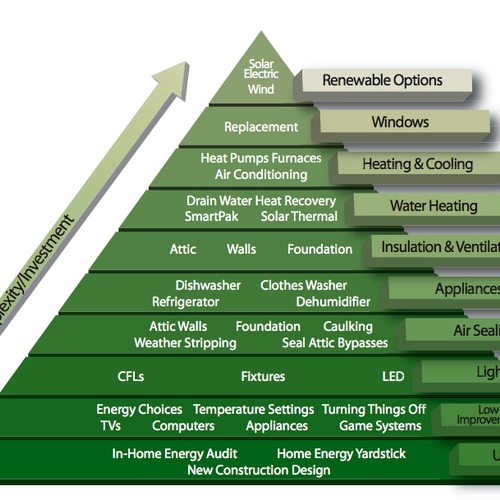 Phil, what the heck is a deep energy retrofit? P: We’re plugged in, but I don’t think the general public knows what a deep energy retrofit is. I think it’s coming, though. I think people are going to start hearing this more and more… People have heard weatherization—you know, you’re going to weatherize your home. It’s a great thing. This is beyond weatherization. This is taking it the next step; this is kicking it up two, three, four notches. C: I would dare say it’s being macho. We’re going to be macho with our renovation. We’re not just renovating, we’re not just adding something to something here, or we’re not just weatherizing—we’re saying, screw this oil. I’m seeing the future and it is high-priced oil. I’m going to invest in my house, and I’m going to do it in a smart way. I’m going to go deep energy, buddy. Deep. C: That’s right, pull up the van and we’re hoppin in! Can we put the A-Team theme in? All right! C: Right, energy reduction from what you’re using now, then you’re technically defined—well, not even technically—but you’re loosely defined as a deep energy retrofit. 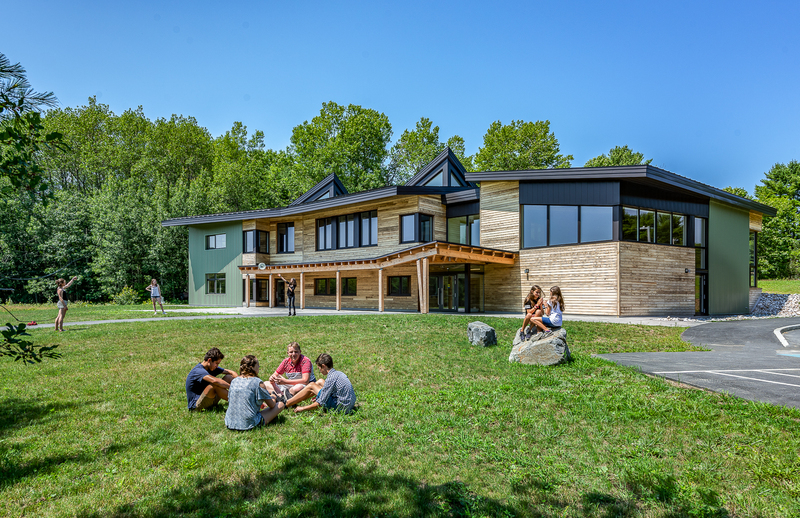 But basically—as architects, if our client comes to us and says, “I’m going to do it, guys, I’m going to not only retrofit or renovate, but I’m going deep into this thing,” then we sit down and talk about [unintelligible]. P: Right. And one of the things they should realize is this is their energy—not just thermally speaking, but electricity, how they really have to change their living patterns, that they really have to think carefully about how they live; this is not just insulation. You really want to do it properly. C: It’s a journey, isn’t it? It’s a spiritual journey. C: It is a commitment. P: I don’t know about B.A. Baracus taking a spiritual journey. P: Well, when we talk about deep energy retrofits, we’re still talking about doing the same thing as we do in new construction. It’s the big three. C: Oh, we’re doing that again? P: It’s the big three! You’re going to add insulation, air sealing, and doors and windows. It’s the same thing. But here’s the difference: It’s different every time in a remodel. P: Right. Tell me how much you want to spend. What are your priorities here? And then there’s the big question: When does it make sense to do certain things? Or, there’s no turning back—you gotta do it now. Some things you can phase, you can do piecemeal; other things, it just doesn’t make sense. Bad investment. C: Like your foundation or your basement, or something like that. Or—I’m jumping all over the place—your siding, your envelope. If you’re affecting your envelope, you gotta seal it back up—well, here’s your chance, right? C: I should have listened to those podcast guys, those clowns! P: And now you know better. P: It’s soul-searching time. I’m opening this up and I’m affecting the R-value. And now I’m investing, and how much do I invest? C: If we’ve decided that we’re committed to a deep energy retrofit, then we’re looking to get at least R-40 in the walls, probably, right? P: R-40 in the walls, R-60 in the roof. Same thing we’ve been talking about, Chris. Same thing in new buildings. R-40, R-60—in the slab, it’d be nice to get R-20, R-10 if you can. We’re talking about real cold climates here—we’re in Maine. You can knock it down a bit. Do your energy model. Don’t just listen to us. P: You’re absolutely right. Energy models open people’s eyes. When they see the blower door go in and they can feel air rushing through their house, and then they see it on paper. You mean if this thing proposed R-40—it sounds like a lot to me, but if you’re telling me I can save X number of dollars a year… I can feel the air rushing through these parts of my house; this is terrifying to me. C: And it should be! P: Yeah, it’s a really good tangible way to understand what’s going on and what we’re trying to do with a deep energy retrofit. C: And at that point you can sit down with the energy modeler—or the model if you do this step yourself— andyou can say to your clients, “Look. if we got your infiltration rate down to X and we got the R-value of your walls and your roof and your foundation down to X, then you’d be spending—and if gas or oil prices stayed at this level—you’ll spend X and you’ll save Y. And then, BOOM. Now it’s not like pie in the sky dreaming, it’s not greenwashing, it’s not….. we’ve taken all of the feelings out of it; it’s now science. Isn’t that great? P: It’s science! It’s not, “You have to believe me, I’m trying to sell my ideas.” There’s no selling. It sells itself. And we’re doing the right thing. It feels good. I gotta say, it feels good when you put it out like that. Always start with an energy model. C: You want to start talking nuts and bolts. How do we want to open up somebody’s house? P: Number one: Use neither nuts nor bolts. C: Dude, my nuts-and-bolts house, you don’t think that’s gonna market well? It’s a spec house made from nothing by nuts and bolts. And washers. P: That’s cool. You can disassemble it, so it can go back into the earth. It’s a wonderful thing. But the thermal bridging, Chris—how long are your bolts? C: Well, that’s a rather personal question, isn’t it? All right, Sheila’s blushing. Now she’s glaring. P: You still pay attention to Sheila’s glares? I don’t notice them anymore. C: She can be intimidating at times. Other times, she’s a ray of sunshine. P: She’s always a ray of sunshine. C: She keeps this thing together, or otherwise, we’d never meet. C: We’re done. We don’t need to talk about that now. Thank you very much, everybody, it’s been a great podcast… No, I’m sorry Phil. You were saying? P: I can’t remember what I was saying. P: So, the most important thing we have to do is figure out how to use all these existing structures that we’ve got. That’s the greenest thing to do. C: Exactly. The act of architecture itself is not very green. P: Even if it costs the same. How about that? That’s kind of a risk to say. What, you’re going to take this old house and leave the old crummy guts of it? Well, maybe! As long as you get everything else comfortable and working really well. You don’t have to say it’s much cheaper doing it the other way, because I think there’s a lot of value in dealing with what’s there. C: Before we get too far into this, I want to dispel a myth. C: Yeah, I’m gonna save money. But I tell you, if you play the square foot cost game—which you don’t like to do—but if you did that, boy howdy, you’d blow your brains out. Wow, that’s graphic. Why’d I say that? You’d blow your mind is what I was going to say. P: You’ve still got the B.A. Baracus attitude. P: Remember, nobody gets hurt on the A-Team! C: I know. Helicopter’s somehow crashed in the mountains, and the guys, they’re fine; somehow they bailed out. C: No, thank goodness. Anyway, when you’re doing a deep energy retrofit, let’s be serious: We’re talking about incurring costs that are akin to new construction. I mean, you’re going to look at your house as your assets—as what you have that you can save and use, and use that to save money. You’re going to look at it that way, but the stuff you’re adding to it—you’re going to add about as much as you would for a new house. Sometimes it’s even more because you’ve gotta rip stuff off first and you have to adjust your design for field conditions. And for an architect, I have to go in and measure with precision what’s already there. P: Yeah, it’s a puzzle. We gotta think it, and thinking is hard. So that’s it for this part of the episode. 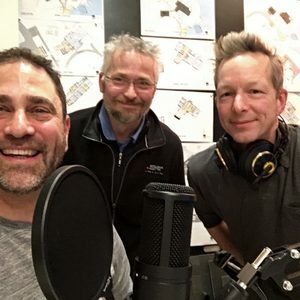 Tune in next week for more of the Green Architects’ Lounge podcast. A quick reminder, our music is Zelda’s Theme by Perez Prado. And our views and our drinking habits do not necessarily reflect Green Building Advisor. Thanks for tuning in, everyone, and keep up the good work. I appreciate hearing the advice to start with the energy modeling. I need to hear more about that being a normal part of the process. I specialize in home addition and renovation design, so "basic" architectural design services don't get very technical- or they didn't used to. I've recommended energy audits to clients quite a bit, but the resulting report was just geared towards weatherization. What does a report look like that is intended to become a tool in the design decision making process? What does the interaction with the energy modeling professional look like as you move forward? As I wrote the heading of this post I said to myself, "there's a podcast episode, right there." Usually the report I'm looking at (with the auditor and client) is a REM rate report. This report, as you may know offers its best estimate on the amount of energy the home will consume in order to maintain a baseline amount of comfort and use. 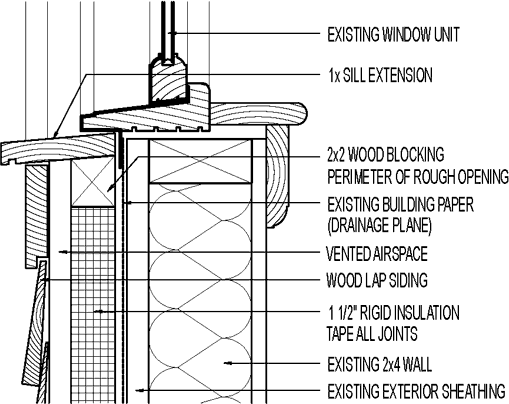 The big pieces of information that the model feeds into the report are the home’s size, climate, r-value of envelope components, and air leakage or infiltration rate. (the model hopefully also takes into account any passive solar affects). With these known components you can move forward. So you’d like to do a serious deep energy retrofit? Let’s see what we have. You then perform an energy audit and have a baseline report that should parallel the client’s current energy bills. Then you go over goals, how deep do you want to go (how much energy do you want to save)? How much do you want to spend? Then you start the “what if” game with the modeler. You use a bit of “architect’s intuition” and say we can get your infiltration down to 1.0 ACH50 and wall r-value to 40, and roof to 60, and increase the window performance, etc. Then run the model again. You’ll see new numbers with a much greater performance and with much greater annual savings. Then you get very serious about cost. This is a renovation! The house will look, feel, and perform better. Is it all worth it to the client? You may have to scale back your master plans and run the model again, Or you may have to do the opposite. It all depends on the clients expectations (and how they are managed). Deep Energy Retrofit is a great concept. "Home Performance" never caught on but means the same thing. 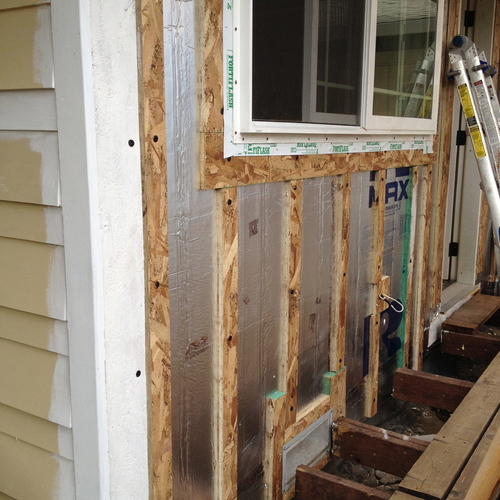 Weatherization is just the visible first step. This podcast banter is hard to follow. The speakers often mumble into the chest and sound is lost. Topic track is obviously blurred by the alcohol. Is this a serious discussion? Sounds like idle chatter. Write more. Inebriate less. Cris and Phil have the sequence out of order too. 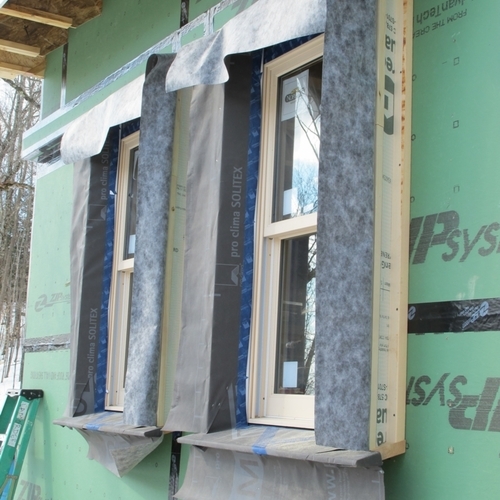 If you insulate FIRST, then try to air sealing - -- typically you are covering the air barrier sins with thick air leaking material. When a serious energy retrofit contractor audits-in to find 24" of insulation recently added to the attic, it is very sad, a lost opportunity. The big holes in the attic floor will leak forever. For Home Star the major supporting US insulation manufacturers agreed NOT to push attic insulation, UNLESS the attic floor is FIRST air sealed . I am really concerned that on hearing this podcast people would start calculating for R60 and move ahead on this first step. Posit this: Choose between an air-tight low-insulation shelter and a well insulated drafty barn. Which would get you through a blizzard? I have seen many brick shell houses with tight horse hair plaster. Guess what are the coldest parts f the house. The unplastered basement. I used a project manage a lot more construction in Ireland, in the last few years than I do these days - but I do appreciate listening to the guys banter on about construction and retrofit options. Back when our offices in Ireland were filled with work, and we would encounter all kinds of problems to do with construction on a daily basis, we would often engage in frank exchanges of views, a lot like Chris and Phil speaking on the podcast would. I will admit, that often a large percentage of the conversation was padding. But somewhere in the middle of it, someone would always manage to say what needed to be said, and the point would be duly taken on board by all. When you are dealing with complex design issues, when many different performance factors may be at stake, and many people may have invested themselves too much, in one particular solution - it can pay to have a discussion which is a bit light, and reflective. It softens up the positions of the various stakeholders and sometimes agreements can emerge which would not otherwise do. I greatly enjoyed the discussion and encourage Chris and Phil to continue to provide their podcasts. I'll definitely check in to listen to them. Please stop the frick and frack banter. I appreciate the information/data but put together a proper broadcast will ya?. Organize the material, edit and present intelligently. I don't have time to sift through these barfly's yak yak looking for content. You guys can be a bit unfocused at times, but I've come to like the banter. I tend to listen in my car, so I'm not in a hurry. It would be cool if the audio could be cleaned up a little, though - if I turn the volume up loud enough to hear the quiet bits, the louder stuff makes my ears bleed. When I dabbled in recording (a lifetime or two ago) we used something called a compressor to bring the peaks up and the valleys down... certainly there must be a digital version of that available in these modern times? I'll have Sheila look into it. None of us are audio professionals. We're architects. (and Sheila wears many hats) But I will make it a goal to work on this issue. Thanks Eric . Doonie, I appreciate the feedback. really. This podcast is not for the data miners or researchers, (otherwise there'd be no music, or cocktails.) You can find everything we talk about using traditional research methods. This is just a different format, (not the most efficient, sure, but less serious) Phil and I use this as a way to get together, enjoy a good conversation, and frankly, have fun. We talk about stuff that interests us, or stuff that others have requested we cover. The second this podcast starts to interfere with our "day jobs' or it stops being fun for us, we're done. I hear you and we'll try to stay more focused.